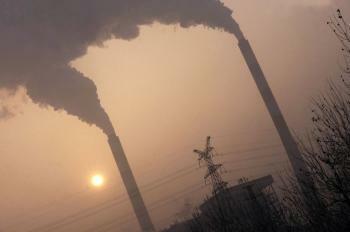 Australian company Resourcehouse signed a $60 billion coal deal with China. Taliban insurgents are preparing for the big NATO offensive in Helmand Province, southern Afghanistan. Costa Rica may get its first female president, Laura Chinchilla. Victor Yanukovych has won Sunday's bitterly fought presidential vote, according to exit polls. Four members of Parliament will face criminal prosecution under the Theft Act. Iran moved closer to confrontation with the West over its nuclear program on Sunday. Twenty years ago this month, racial segregation was cast aside in South Africa. A human rights NGO has started a very public campaign to rescue Chinese human rights lawyer Gao Zhisheng. India has proposed foreign secretary-level talks with Pakistan. U.K. government funds reportedly being used to finance anti-Israeli education by Palestinian authorities. The first live 3-D sports broadcast was beamed into nine pubs in the U.K. and Ireland on Saturday. U.S. missionaries have now been charged in Haiti with child abduction and criminal conspiracy. CEZ has been maintaining a special paramilitary unit to use against customers who steal electricity. Mayor Nir Barkat is being forced to seal and demolish a controversial settler structure in the East Jerusalem. Over half of Britain's lawmakers have been ordered to repay US$ 1.7 million in dubious expenses. Romania and the U.S. reached an agreement on Thursday to install missile interceptors on Romanian soil. Doctors in U.K. and Belgium are able to read the brain signals of patients in persistent vegetative states. Sudan's president could face charges of genocide at the ICC, if an appeal by prosecutors is successful. Evidence from Iraq war enquiry claimed U.K. PM Gordon Brown presided over "complete guillotine" of defense budgets. Chinese activist Feng Zhenghu announced on Tuesday that his protest was over and he'd be returning home. Iraq has lifted a ban on over 500 election candidates with alleged affiliation with Saddam's political party.